FEEL THE FORCE OF MAGNUM! A real treat for fans of classic British rock is in the works this week at Wormwood Chronicles! 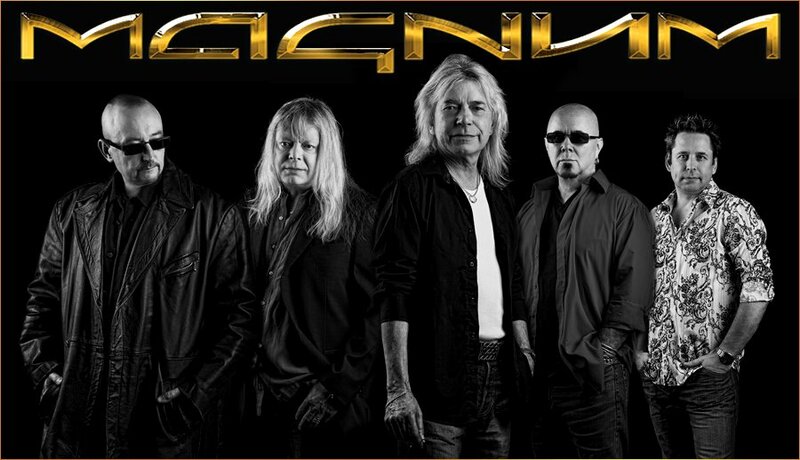 I have the pleasure to speak to guitarist/songwriter TONY CLARKIN of the long-lived and well-respected MAGNUM. This band has been a force in the progressive and hard rock world since the late 70's and has just released a new classic with "On The 13th Day". We find out just how Tony comes up with his classic songs, discover if he's really as cynical as he seems on the new album and learn how Magnum has managed to appeal to a whole new generation of fans. If you're already a fan of this band, this will be great reading; if not, why not find out what you're missing and read the interview HERE. ZODIAC "A Bit Of Devil"
BOMBS OF HADES "The Serpent's Redemption"
SKELETAL REMAINS "Beyond The Flesh"
LICH KING "Born Of The Bomb"
EUGENIC DEATH "Crimes Against Humanity"